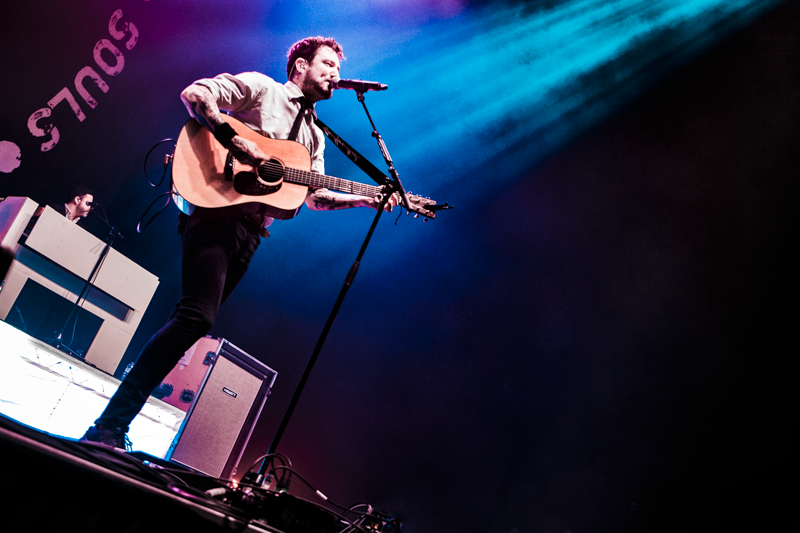 Frank Turner & The Sleeping Souls Light Up The Birmingham Arena! 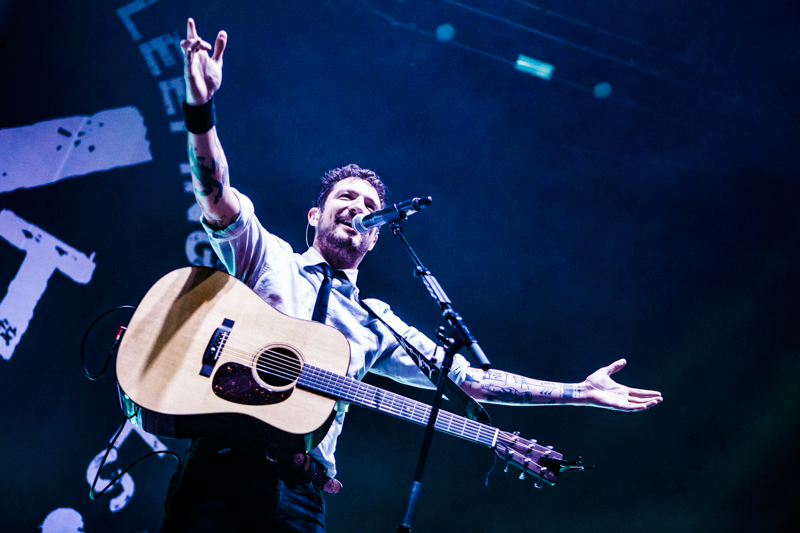 Frank Turner is back in the UK for the next part of his ‘Be More Kind’ World Tour. 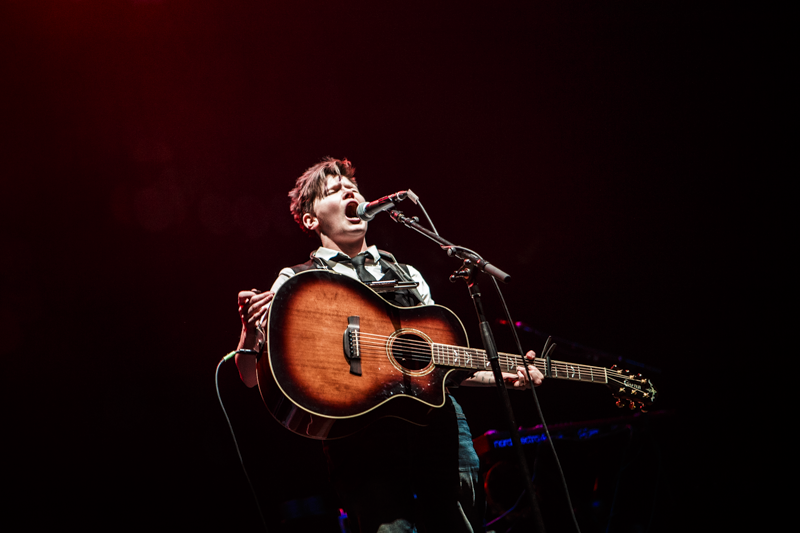 Birmingham was the first stop on the list, and here is how his 2299th show went down. Opening an arena show as people are still slowly coming in is never an easy task - I imagine it can only be harder when you’re playing on your own. 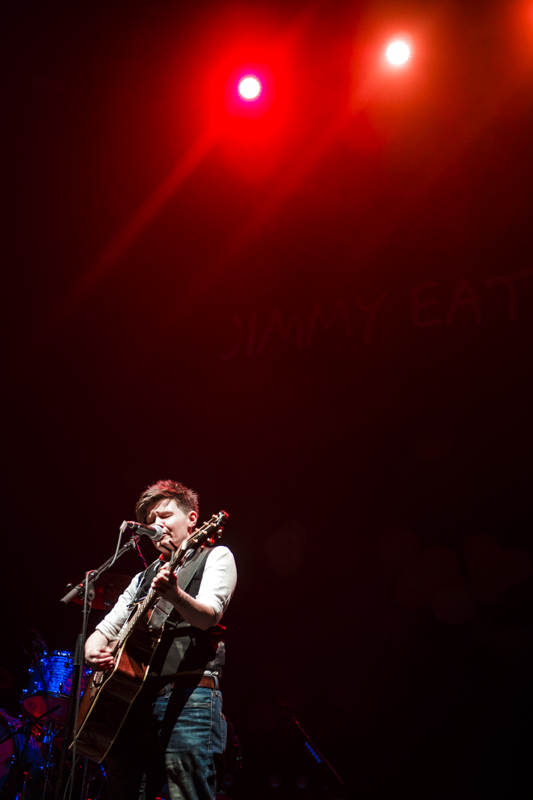 But Grace Petrie walks confidently onto the stage and sets the tone immediately by introducing herself as a protest singer, who’s been labelled both « a powerful new songwriting voice » by The Guardian and « a whiny folk singer » by The Telegraph. She then dives into her song ‘Farewell To Welfare’, instantly giving meaning to the two quotes: the songwriter doesn’t shy away from her (left-wing) political opinions in her words, and it doesn’t surprise anyone that it would raise some eyebrows and divide opinions in the current political climate. 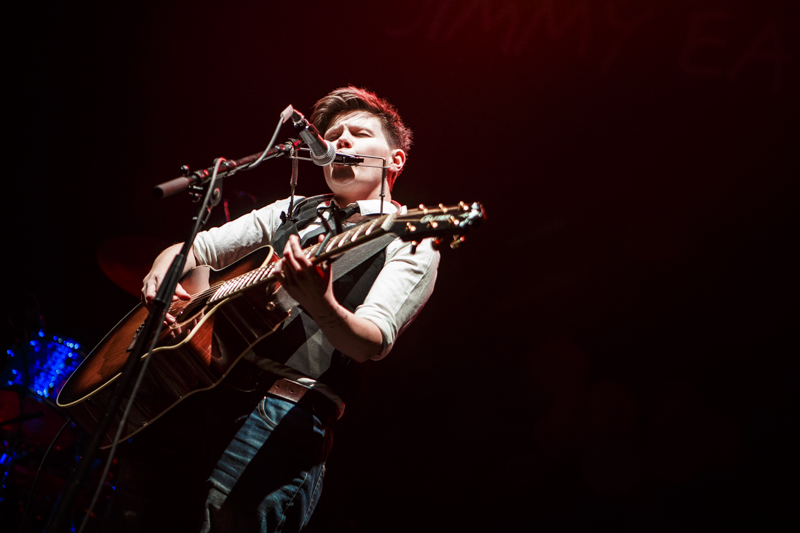 There’s however more to her than politics, and she happily exchanges a few jokes with the crowd between songs about her niece Ivy’s birth, gendered clothing and patriarchy, and that one time she played to eight people in Galway. Her set is short but convincing, and an entertaining way to start the evening; I’m not one for labels, but I’ll go with « a bold, passionate storyteller ». 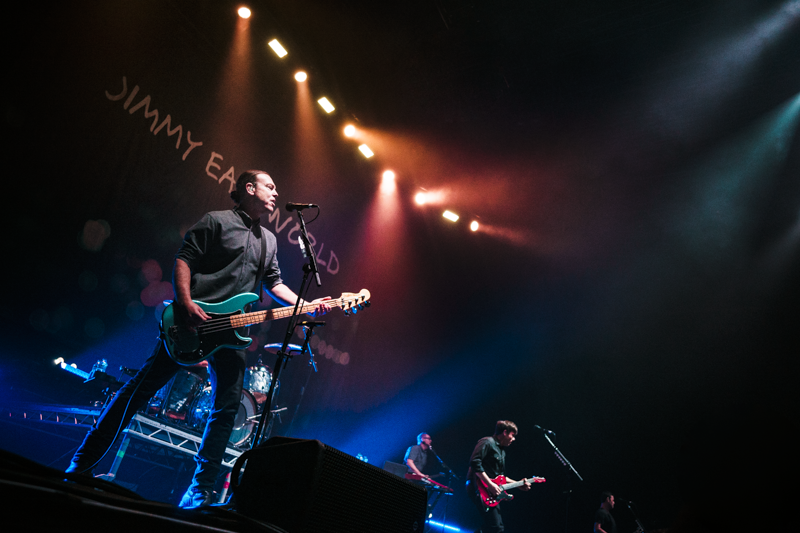 Next on is Jimmy Eat World and they have the tough job of squeezing their 25-year long career into a 45 minute set. Not usually big on chatting between their songs anyway, the band has clearly decided to play as much as they could, and starts with the three singles off their album ‘Futures’: ‘Pain’, ‘Futures’ and ‘Work’ come one after another without a single word being spoken beside singer Jim Adkins greeting the public. They then move on to ‘Big Casino’ and their newest single ‘Love Never’, released last year. The crowd doesn’t seem to move much but listens religiously, except for the one fan who screams « I came here to see Jimmy Eat World! » which has the band members creasing. The rest of the set consists of ‘Sure And Certain’ and all the classic tracks off ‘Bleed American’; the stripped down version of ‘Hear You Me’ that cuts the performance in two is probably the quietest part of the night, as I can see couples and groups of friends alike holding each others, murmuring the lyrics. ‘Sweetness’ and ‘The Middle’ bring voices back up as everyone in the room sings along, and it’s already time for the band to go. Finally, Frank Turner appears, backed by The Sleeping Souls and playing ‘Out Of Breath’. I couldn’t blame him, I have seen countless artists run and jump and give way less of a show than he and his musicians do. The first song ends with flames lighting up the back of the stage, and the singer gives his public two rules for the evening: have fun, and sing along if you know the words. Luckily the crowd has now fully woken up, because they won’t be given a second of rest for the next 1 hour 45 minutes. The setlist is no less than 24 songs long, with a little something from every one of Frank’s albums, and the newest songs are scattered throughout the night, accompanied by some insight on their meaning or the story behind how, when or why they were written. He almost makes the Arena feels like a pub show with the raw, honest way he addresses his listeners - yet it’s hard to imagine such an energising character jumping around in a room any smaller. He gets the crowd involved every chance he gets, turning them into his own personal « Birmingham Gospel Choir » for his latest single ’Brave Face’, making them clap along, even shaming them for only being « a 6/10 dancing crowd ». He only slows down to play ‘ Worse Things Happen At Sea’, ‘Pass It Along’ and ‘Love Ire & Song’ on his own and tell a few more stories, recall the venues he used to play in Birmingham, and invite everyone to join him for a DJ set he’s doing at Subside after the gig (playlist will apparently include Queen Greatest Hits Vol. 1, Fall Out Boy and Queen Greatest Hits Vol. 2). He then quickly picks it back up with ‘I Knew Prufrock Before He Was Famous’ and a few more songs, before calling the Birmingham Gospel Choir back to his rescue as he needs them to sing ‘I Still Believe’ back at him. I don’t believe it’s possible not to enjoy the performance Frank Turner & The Sleeping Souls deliver on this tour. Smart songs, meaningful stories, amazing music, a fun vibe, loads of energy and sweat, a real sense of sharing a special moment: their show has everything anyone could possibly look for in a live gig. It is an absolute treat. The world needs more Frank Turners.